KOG Games, a leading developer and publisher of popular free-to-play action MMORPGs recently sat down to answer some of the Elsword community’s most pointed questions and share some exciting stuff on the horizon for the popular MMORPG. Elsword released in North America in 2011 and since its launch has grown to a player base of over 1 million, with over 300,000 Followers on social media channels and over 11 million views on its YouTube Channel. As the game heads into its 4th year of operation, the KOG Games team launched the hugely anticipated Season 2 in mid-December. Community: Does KOG have any plans to create a PvE/Dungeon environment allows players to play dungeons on a larger scale (8 players taking on a longer dungeon)? KOG: We currently have nothing planned, but we understand that playing Elsword with other gamers is a very important aspect of the game. That is why we are releasing the Perkisas (Raid Content) update with the winter update. Just to give you a brief sneak peak, the story is like this: Long ago, many holy beasts were spread around the continent by the giant El. Some holy beasts protected the land, but others pillaged and went on a rampage. The red dragon Perkisas, the Incarnation of Greed, resides deep under the Ellian ground with a vast treasure hoard. Perkisas soon grows bored and tired of taking what he pleases and seeks a new form of entertainment. He starts to spread rumors that whoever defeats him will get his treasure, and rumor also has it that anyone who passes his 3 trials will gain the power of Perkisas himself, but as of yet, not a soul has passed these trials. Meanwhile, Glaive coerces the Elsword crew to become stronger as both a team and in martial prowess. Then baits them into attempting the trials of Perkisas. Will Elsword and his crew be able to overcome the trials of Perkisas and claim the immense legendary power? You’ll have to play and find out. Community: With all upcoming NA content being almost exactly what is in the Korean version, what reason will NA players have to get excited about something new or different being offered to NA players? Many players already know what’s coming, and a number of NA media already posts what’s on the Koreans version. Will there be any major updates that will be NA exclusive? KOG: We agree that a standardized content release schedule can feel less exciting; especially if players know all about it beforehand with the help of community-based translations. We are trying our best to localize, designing Elsword with a global vs. less regionally specific appeal as best we can. Using the Korean client as a test platform, we’ve mostly focused on polishing the existing content to be a more refined, worry-free product. We’ve tried to hone this content to make it more exciting, and in the end, have less technical problems when applying it to the NA version. That being said, this is a great point, and we will actively review the possibilities of NA only content as well as designing content that appeals to the NA players. Lastly, we’ll do our best to develop core content that NA can enjoy as well as Korea. Community: Does KOG have plans to perform sweeping game balancing? For example, Ara’s starting to get more reasonable, but some of Add and Luciel’s classes are still too overpowered in comparison. Yes, there are ways to counter these classes in PvP, but not every class has enough options to adequately deal with it. KOG: Oh Yeah! We are currently preparing for a series of major updates that will lessen the performance gap between all characters. When Season 4 of PvP starts, we’ve worked diligently to improve design so that all characters will be able to play on equal grounds. Just to give you a sneak preview of the coming update: There will be visual updates to all characters, Skill Tree updates, skill renewals (including effects), we’ll be removing Skill Notes, trait improvements and much more. Players will no longer be forced to select one of two available skills at different points on the Skill Tree, and players will no longer need to distribute Skill Points. For individual characters, as they’re leveled up, the skills become available at the respective level; at max level! We truly hope Elsword players will enjoy the upcoming changes, but they’ll have to keep playing Elsword to watch it unfold in the winter update! Community: Why does KOG not allow knockdown resets and mana break options for all characters as a means of escape? KOG: Though PvE has its own game experience (different from PvP), certain characters shouldn’t have the skills that do not allow Mana Break and Knock Down resets. Each Elsword character possesses their own unique control elements, skills, and traits. We think the different styles and skills each character brings is one of the biggest fun factors of Elsword. If we allow all character skills to be bypassed with a knock down reset or mana break mechanism, we think that fun factor would die down a bit. But, there’s more to it than that. Players should wait for our winter updates where many of the skills in question, and how those skills work (in both PVE and PVP), will change and be truly enjoyable for all characters. Community: Does KOG have any plans to offer more permanent costumes options (i.e. Job Change Costumes)? Will the ability to obtain Skill Books becoming easier? 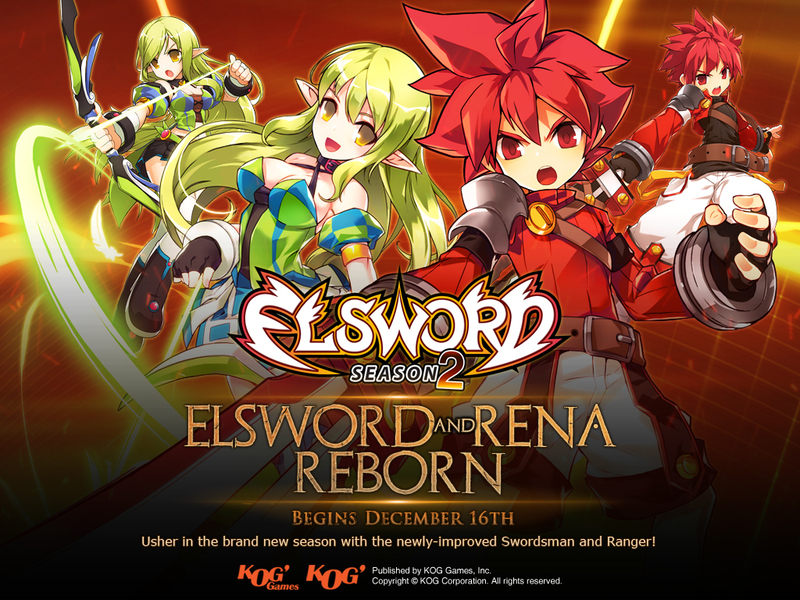 Story is a major factor in any RPG, would KOG provide a clearer depiction of the Elsword story, and a wider world with more world exploring activities? KOG: Costume options will become bigger. It’s all a secret right now, but we are going to add more interesting and fun options. We are removing the Skill Note system entirely, and adding the Trait System in its place. Regarding the story, you will have to stay tuned for the winter updates, we will be adding in brand new tutorials and starting zones for all characters, and giving the NA character a whole new voices; so to speak. Ultimately, each character will have a chance to tell their own, progressive story. Community: Does KOG have any plans to offer a free, ED B-Slot option; comparable to Korean version? KOG: Though we can’t go into detail this early in the game, we are preparing to add more game content that directly apply to ED. We will also keep this particular concept in mind while developing future content for Elsword. Community: We’d like to request the ability to purchase some potions in a way that doesn’t require AP points. As a primarily dungeon oriented game, Players shouldn’t be forced to play PvP to get decent potions. Is this something KOG would consider? KOG: It would be wonderful if players could enjoy both PVP and PVE, but we also understand that many players have many different preferences and play styles. There’s nothing in the works for this; as of yet, but we sincerely appreciate this kind of feedback as it helps us with content development for the future. Though we pride ourselves in knowing our game well, suggestions like this help a lot. Community: Does KOG have any plans to remove evasion/accuracy as was done in the KR version? KOG: This is currently a secret, but it could change. Stay tuned! 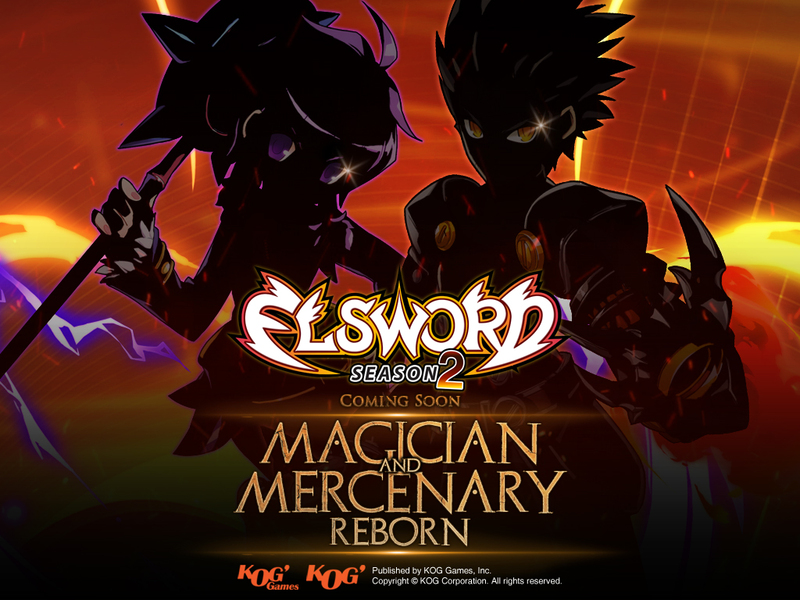 KOG: This is the direction the Elsword team has always hoped to take the game. We are also trying to update Elsword with more comic and manga aspects as well. The players that are manga fans will be excited to look forward for winter update as we are bringing more illustrations and videos. Community: Are there any plans to develop a 4th Job Path for every character? That way every character would have a whole new spin and feel fresh again. KOG: We currently have no plans to add a 4th Job Path, but we know it will be needed at some time in the future. 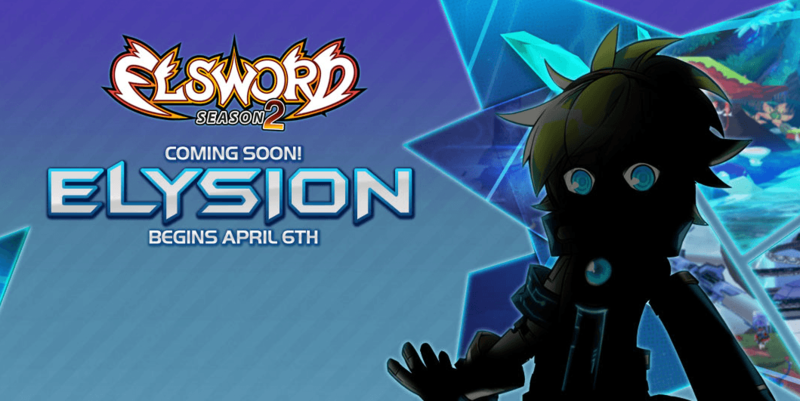 We are very aware, and we are putting a plan together to progress the Elsword characters with future updates. Community: The more recent Elsword updates and characters have some awesome artwork. With the current artwork making the older characters look outdated, are there any plans to update the artwork or design of the older characters? KOG: All visual aspects of the characters will be updated in the winter update. Starting with the body ratio and faces. Many visual aspects will be upgraded. Community: Will Elsword offer any dating sim elements in the future? KOG: We currently have no plans for this kind of update, but it sounds really fun! 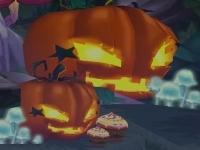 We will see if we can have something like this in the future, or possibly an event. Community: Does KOG have any development plans to take Elsword cross-platform (PlayStation 4)? KOG: We have a plan to release Elsword on the mobile platform. We will definitely release it at some point in the future. We want our players to enjoy Elsword on both PC and mobile. KOG: Balance is always an extremely difficult task. We understand this is very important aspect that contributes to the enjoyment of the game, but we try our absolute best to design each Character/Job with unique characteristics, but at the same time, we try not to over or under balance each. We can’t go into detail about the formula, but we would never purposefully intend to make each new Character/Job have greater power over the previous. However, we believe that there is a learning curve that applies every time a new Character or Job is introduced. In the end, if we feel that there is still a huge gap, we must consider a re-balance. KOG: If there are products that we believe would go along well with the Elsword world, we would be very much open to it.